Do you have some jewelry you love but don’t wear because it is broken? Maybe you have a ring that is too small or large? Bring it all to Gold and More Jewelers and we will return it to “new” condition! 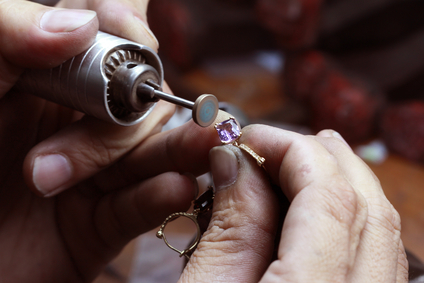 We do all repairs; everything from soldering two rings together to custom made jewelry pieces. We supply and change most watch batteries while you wait for only $4.00, plus tax. Most watch batteries will only take a few moments to change. So keep that favorite watch and bring it in instead of buying a new one. Call Us Today for your Jewelry Repair Needs!